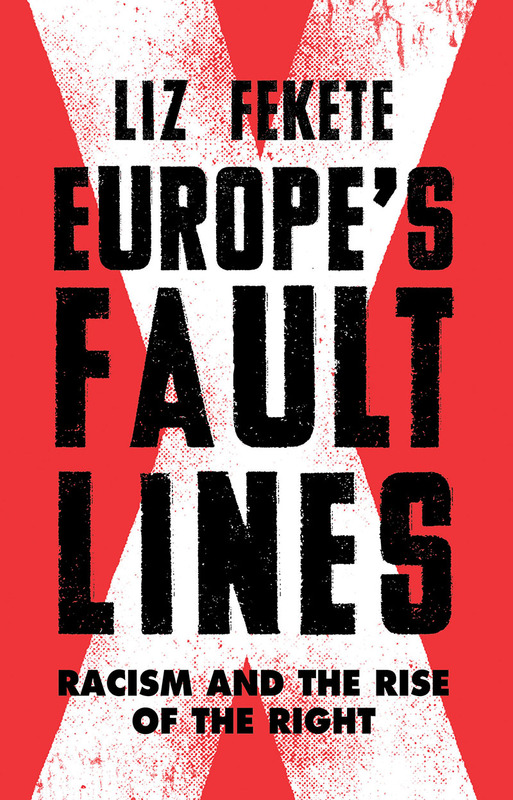 Liz Fekete is the author of Europe's Fault Lines: Racism and the Rise of the Right – 40% off until Sunday, February 11. Today’s ultra-right scene offers apprenticeships in pimping and extortion, money laundering, drug- and arms-running, human smuggling, vigilantism and armed combat (Scandinavian neo-Nazis are among those fighting in Ukraine). In Saxony, there are so many unsolved ultra-right criminal acts against refugees that anti-fascists now speak of ‘the new NSU’, a reference to the phenomenon of attacks on asylum centres and the state’s failure to protect them. Major trials involving ultra-right criminal conspiracies have either taken place in recent years or are on going in many countries, including Germany (NSU, White Wolves Terror Crew, Old School Society, Freital Group),10 Spain (Anti-System Front), Austria (Objekt 21), Italy (New Order), France (White Wolves Klan) and Hungary (Roma serial murders by neo-Nazis who formed their own private militia). All reveal collusion, either direct or indirect, between the neo-Nazis, the police, the military, the intelligence services, or a mixture of these elements. In 2016, in Greece, the trial continues of seventy-two members of Golden Dawn (including eighteen MPs) on charges of forming a “criminal organisation, weapons procurement, soliciting the murder of the anti-fascist rapper Pavlos Fysass in Athens, the attempted murder of three Egyptian fishermen in Perama, near Piraeus, and the near-fatal attack on the president of the metalworkers’ union and other Communist trades unionists in the dockyards of Piraeus. In June 2013, Clément Méric, an eighteen-year-old French activist from the Parti de Gauche, was left brain-dead after being punched in the face by a skinhead wearing a knuckle-duster during a fight between left-wingers and skinheads near a railway station in the 9th district of Paris. The trial for manslaughter of three of the skinheads linked to Troisième Voie (Third Way), a private militia that has since been banned, has yet to take place. Since then, many more have died in far-right-inspired attacks. In Finland, Jimi Karttunen, a twenty-eight-year-old anti-racist, died of head injuries sustained during an attack at Helsinki railway station by a member of the Finnish Resistance Movement. Karttunen’s assailant was eventually cleared of aggravated assault, receiving a two-year sentence for grievous bodily harm. The murder of the UK Labour Party MP Joanne Cox took place in June 2016 in the small market town of Birstall, West Yorkshire, in the run-up to the EU referendum. Five months later, Thomas Mair, a white supremacist who repeatedly shouted, ‘Britain First!’ as he shot and stabbed the MP, was convicted for her murder. Such blatant political killings are bad enough, but there is also evidence of ultra-right elements infiltrating the forces of ‘law and order’ so as to compound or confound the issue. One would have thought that, in Germany at least, the circumstances surrounding the shooting dead in Bavaria of a police officer by the leader of Citizens of the Reich would have made police affiliation to far-right groups a cause for immediate action. It seems possible that the armed far-right leader may have been tipped off about an imminent raid on his home to confiscate weapons. Fifteen police officers are now suspected of association with Citizens of the Reich, including two who were part of a WhatsApp group that had previously chatted with the killer. After the arrest in May 2017 of a first lieutenant in the German army (he had, it is alleged, created a false identity as a Syrian refugee in order to mount a terror attack), the authorities announced the possibility that a neo-Nazi cell of at least five people might exist within the army. Privatised far-right security is another concern. In the eastern German state of Saxony – where, as we have seen, ultra-right assaults on refugee centres are numerous – the neo-Nazi NPD has openly called on supporters to join Saxony’s Security Watch – a volunteer civilian unit that supports the police – arguing that membership would provide an opportunity for its activists to work completely legally in a security-related field. According to Popular Action Against Impunity, the situation in north-east Spain following the collapse of the trial of eighteen members of the Anti-System Front (FAS) in Autumn 2014 also raises issues of collusion between the neo-Nazis and the military, as well as rogue police officers who allegedly tipped off FAS about an ongoing police investigation. 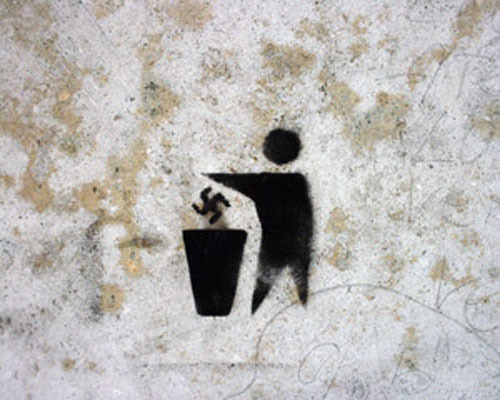 As a coalition of left political groups and social organisations, Popular Action Against Impunity is affected by the neo-Nazi violence in north-east Spain, which has included bomb attacks against left-wing and trades-union targets, mosques, social centres and official ceremonies and public events (more than twenty bomb attacks between 2005 and 2008 remain unsolved by the police). At the trial of the FAS members, two of whom were from the military and one the son of a police officer, the judge ruled police intercept evidence inadmissible on the grounds that phone taps should not have been authorised, since hawking arms online was a normal activity. Among the weapons seized during the police raids that preceded the trial was a grenade launcher. The ultra-right has also taken it upon itself to impose its own law – namely, vigilante justice – with its own private militias and paramilitary squads. In Greece, prior to the arrest of the organisation’s MPs, black-clad Golden Dawn supporters armed with clubs were in the habit of sweeping through migrant areas on motorbikes, beating everyone in sight. Its use of battalion squads of paramilitary fighters to police and intimidate certain neighbourhoods all took place under the watchful eye of the Hellenic Police. Between August 2012 and February 2013, the Hellenic Police were involved in their own sweep against migrants, in the form of the racial profiling exercise Operation Xenios Zeus. This led to almost 85,000 suspected foreigners being forcibly taken to a police station for verification of their immigration status (94 per cent were found to have a legal right to remain in Greece). At the trial of Golden Dawn, reported on every day by the websites Golden Dawn Watch and Jail Golden Dawn since it began in April 2015, compelling evidence has emerged to suggest that, from 2010 to 2013, Golden Dawn operated as a para-state agency, cleansing neighbourhoods with the collusion of local police – and that it financed its activities through protection rackets, blackmailing shop-owners, selling weaponry used by its battalion squads, and providing services to businessmen. Collusion also extended to the National Intelligence Service (EYP), one high-ranking official responsible for the telephone surveillance of Golden Dawn resigning in 2013 after media allegations of his links to the organisation. Nor are the countries of northern and western Europe immune from the emergence of vigilante militias, including anti-Islamic groups. In France, much vigilante activity in Calais seems to take place under the radar. In 2016 the Bar Human Rights Committee of England and Wales (BHRC) carried out a fact-finding mission to the unofficial makeshift ‘Jungle’ camp in Calais (completely demolished in October of that year).11 The report drew attention not only to worrying levels of violence inside the camp, but also to generalised and specific violence emanating from the police. It is the possibility that members of the CRS riot squad, accused of beating camp residents with batons, sticks and truncheons, could be colluding either directly or indirectly with vigilante groups that is of most concern, given that the CRS has traditionally been linked to high levels of support for the extreme right. A far-right anti-migrant group, Sauvons Calais, had also been active in Calais since 2013, justifying its marches and provocations on the grounds that the town’s mayor, Natacha Bouchert, had called on citizens to inform on migrants squatting in the town. Police have been accused of failing to take action, as far-right groups, now including Génération Identitaire, travel to Calais with the specific intention of targeting migrants. BHRC was concerned that many of the Jungle camp’s residents it interviewed spoke of the police as possibly complicit in vigilantism, claiming that attackers often wore police uniform, or had similar batons or boots to the CRS. Vigilante patrols, both at borders and internally, often take on an anti-Islamic character, acting to stop the ‘Muslim invasion’. In 2014, Britain First, an offshoot of the British National Party whose structures are inspired by Ulster loyalism in Northern Ireland, organised a series of Christian patrols and invasions of mosques, all in the name of protecting British and Christian morality. Such activities came to a temporary halt in 2017, when the High Court served an injunction on its leaders banning them from mosques across England and Wales for the next three years. The latest pan-European development comes in the form of the Soldiers of Odin, which first emerged in the northern Finnish border town of Kemi, before expanding into the Nordic and Baltic countries, then the Dutch towns of Groningen and Winschoten, and even popping up in Ireland. Claiming to defend native women against ‘Islamist intruders’, they unite around slogans such as ‘Loyalty, respect, honour!’, assuming police functions and carrying out patrols. Superficially, it may seem that these civilian militias and vigilante squads are free agents, operating without the official endorsement of the state; but there is much in the relationship between states and ultra-right vigilantism that makes the dividing line ambiguous. – by Liz Fekete, Excerpted from Europe's Fault Lines: Racism and the Rise of the Right – 40% off as part of our reading list on racism until Sunday, February 11.